Introduction :With the sustained interest of the business and international community in the growth and dynamism of the ASEAN Community, there is an ever-growing and constant demand for statistical information about the region. Whereas statistics would show the distinct and diverse characteristics of the ASEAN Member States in terms of demography, education and health, ASEAN statistics also demonstrate the interconnectedness of the region in trade, foreign direct investment and tourism, among others. 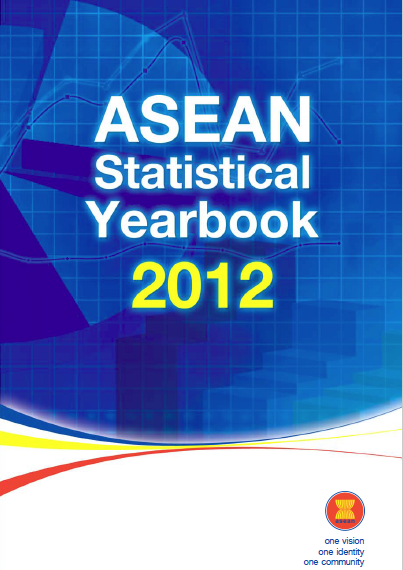 Every year, the ASEAN Statistical Yearbook (ASYB) provides the region’s latest statistical information on these social and economic indicators. Containing longer data series to facilitate deeper analysis of interrelated issues, this annual publication provides a comprehensive account of the trends and developments in the ASEAN region, as captured in numbers through statistics.